The Liberal Pulpit: What Were They Thinking? "What were they thinking?" From the 15th into the 18th centuries, paranoia about witches in Europe and North America was at its peak. 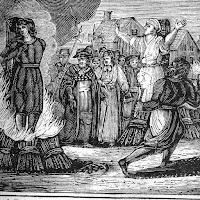 Estimates are that 40,000 to 100,000 people, mostly women, were executed, usually by burning, for being a witch. What were they thinking? From the 16th into the 19th centuries, an estimated 12 million Africans were shipped as slaves to the Americas. About 5 or 6 percent of them were brought to what became or was the United States where, by 1860, the slave population had grown to 4 million. What were they thinking? My two grandmothers – and many of yours – were born in this country when women were forbidden to vote. Denying the vote to half the adult population? What were they thinking? We look back at the past and see a story of moral progress slowly leading up to us. Of course, it’s not that simple. He didn't seem bothered by this: he was so matter-of-fact. I was stunned. By third grade, I knew that we no longer burned people we thought were witches. Instead, we burned people we thought were communists. Changes in practical realities don’t always match changing attitudes. No one would speak in favor of slavery today, but human trafficking continues on every continent. In the US, immigrant farmworkers are locked up, cheated out of pay, robbed of their names, stacked 10 to a room. Still, attitude shift isn’t nothing. Once it was widely understood that a man’s husbandly and fatherly duties included beating his wife and children. Abuse and battering continue, but attitudes in the US and Europe, have shifted from expecting it, to accepting it, to seeing it as a foible one joked about, to viewing it as a serious crime. Homosexuality was once a hanging offense. LGBT people still face many forms of discrimination, but their marriages are legally recognized now, and that’s not nothing. Moral progress isn’t simple and straightforward, and it often hasn’t progressed as much as we like to think it has, but it does seem to slowly happen in some areas. So what might be next? What are we doing today, what practices do we tacitly accept or actively endorse, of which our great-grandchildren, looking back on the early 21st century, will ask: What were they thinking? There’s no possible way to tell, right? It's easy and very tempting to think: "My own political and moral opinions are the correct ones. Therefore, the future will be a progressive story of more and more people figuring out what I already know." Due humility and regular recollection of how one's own opinions have changed through the years may help one avoid that trap. In fact, what seems like moral progress to most people at one time might turn out to be a cul-de-sac. In 1920 when, by Constitutional Amendment, alcohol was prohibited in the United States, a lot of people then thought that was moral progress. Most of us now regard that as a mistake. 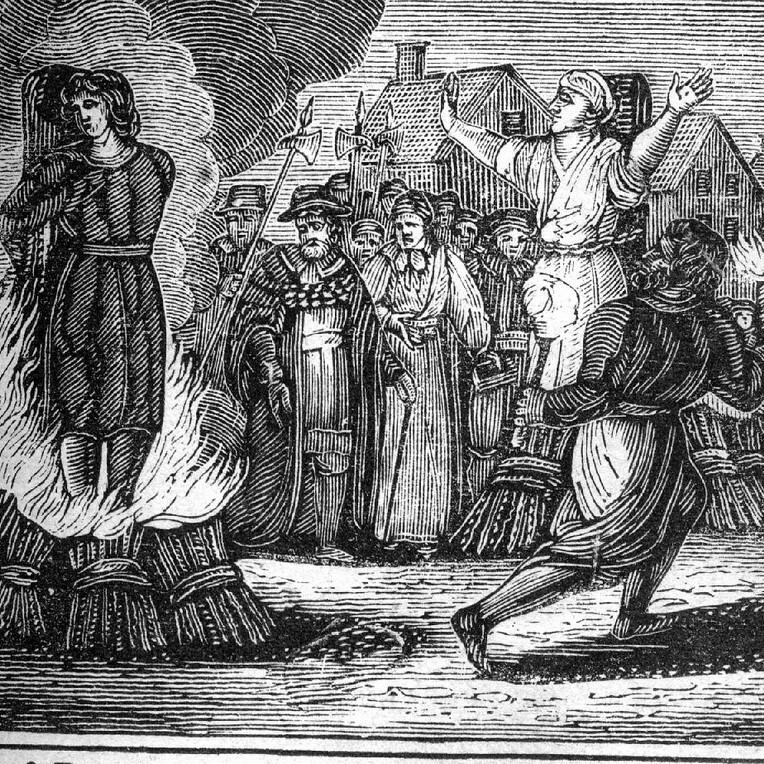 Movements to protect public decency by burning books or suppressing birth control felt like moral progress to the people of the time, but also turned out not to be such good ideas. So maybe some of our current moral ideas will come to be seen as similarly quaint and misguided. Is there any more-or-less objective way to assess what the moral shifts in the near future will be? It turns out that maybe there is. First, the arguments against the practice are out there. People have heard them, and the arguments are simmering in the back of our collective consciousness. For instance, the case against slavery didn't suddenly pop up in an instantaneous transformative insight -- a blinding moment of moral clarity. The moral argument against slavery had been around for centuries. It just took a while for it to really sink in. Arguments for women’s suffrage were around a long time even before the 1848 Seneca Falls convention more-or-less officially kicked off the US suffrage movement – and it took 72 years after that before women’s suffrage was won. People need time to know the argument, try it out, see if it stands up, see if a really good refutation shows up -- give themselves a few generations – to, you know, think it over. Third criterion: we see a lot of pushing the issue out of our minds. At some important level, we know it’s wrong; we just put it out of mind. We don’t want to think about it. The practice persists only because most people won’t think about it. Those who ate the sugar or wore the cotton that the slaves grew simply didn't think about what made those goods possible. It was the abolitionists’ job to make clear and vivid the slave conditions so that it couldn’t be ignored. For what current practices will our great-great-grandkids have a hard time forgiving us? This is part 1 of 3 of "The Future Will Judge Us"
I want to say first that I always find your posts persuasive and extraordinarily intelligent. And this one isn't much different. I would just offer one reservation. 1. Progress doesn't just happen -- it takes well-meaning and effective people to make it happen, and 2. Just because we've moved forward doesn't make it permanent. It takes eternal vigilance to guard the gains. We can indeed regress. I'm really looking forward to the rest of this series! Thanks, Phillip. The reservations you offer are indeed very important. Slavery abolition and women's suffrage required organizing and sustaining a movement through several generations. The end of witch-burning and the repeal of prohibition may seem, on a casual reading of history, more like instances of the population simply coming to its senses, but those also required dedicated leaders. If Appiah is right about his first criterion, then we should add that it usually takes a committed movement of people to sustain the presence of the arguments in public discourse. If he's right about the second and third criteria, then we should add that these last ditch strategies tend to appear after a vocal minority, by intelligently and energetically pressing its case over many years, finally renders any moral and more robust defense untenable. RE: regress: yes, it's certainly possible. Reproductive justice springs to mind, as the gains of Roe have been chipped away and chipped away (slowed a bit by Casey , and, one hopes, rather more by Hellerstedt last month). But perhaps this issue also illustrates Appiah's criteria. Might it be that the gains in this area have proven especially fragile because the arguments in favor of reproductive choice had not been around very long? (When Roe was decided, the very concept of reproductive choice as we know it -- made imaginable by The Pill -- had been around scarcely more than a decade.) Moreover, anti-abortion forces DO make moral arguments. Flawed though I find those arguments to be, they are not merely arguments from tradition, human nature, or necessity. So the broad moral consensus achieved against slavery and for women's suffrage has not yet materialized for reproductive choice.